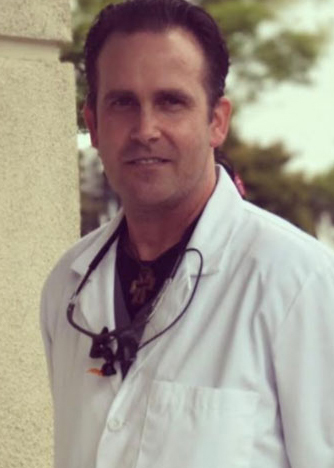 Tyson is our Registered Dental Hygienist for Salinas Smiles Dental Group since July 2016. Tyson started out as a dental assistant since September 2000. He graduated from Carrington College of California, in San Jose. He graduated in April 2015 with honors and received his Associate’s Science degree. He thrives to provide the highest standard of care to his patients. During his free time, he enjoys outdoor activities, biking and hiking. Josue, is our Registered Dental Assistant. 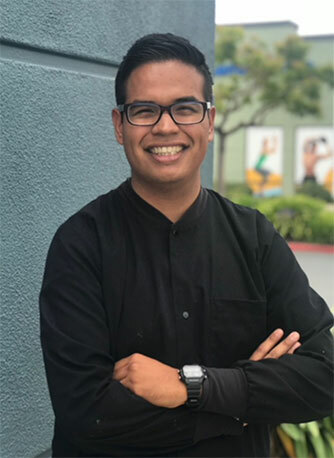 Josue has been with Salinas Smiles Dental Group as of June 2017. He enjoys working with patients and with our wonderful staff with providing exceptional dental care to our patients. He graduated from the Mission Trials Regional Occupational Program in June of 2010 and started his career as a dental assistant. He then received his Registered Dental Assistant License on April of 2017. Josue, enjoys working with people and helping them answer any questions to help make them feel comfortable and to help educate dental needs. During his own time he enjoys volunteering for the community, hiking, and playing Sports. Merie, is our Office manager. She has been the in dental field for over 14 years. She started out as a dental assistant. She went to School in Silicon Valley College in 2004 and Heald College in 2010. Graduated with honors and received her Associate’s Science degree. She had the pleasure to work for Alameda County Sheriff’s Office in 2012-2013. 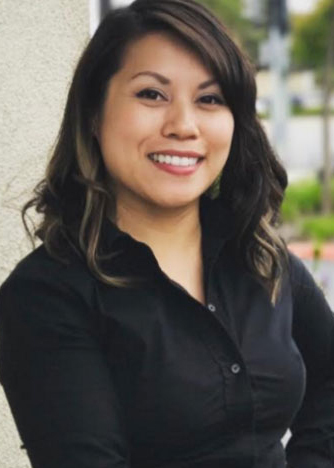 She recently moved to the Monterey County and has been with Salinas Smiles Dental Group since November 2016. She absolutely loves her job, especially helping and interacting with patients. She enjoys traveling and going outdoors. She is currently pursuing her Business Degree. Chloe, is our Account Specialist and Patient Coordinator. She is currently pursuing her Business Degree. She is great at gathering, organizing, and recording data, while analyzing and resolving patient queries in an accurate and timely manner. 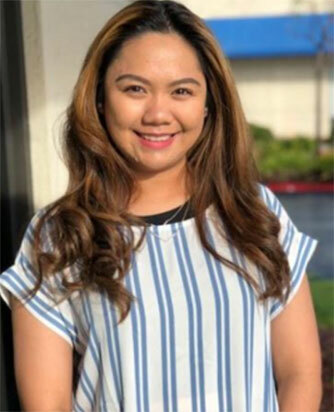 She joined Salinas Smiles Dental Group in January 2017. She enjoys getting to know our patients and their families. During her free time she loves playing with her dog and traveling. Erbie, is our Administrative and Patient Coordinator. She has been with the company since January of this year, 2018. She is currently studying towards a Nursing career. She is always happy and willing to help our patients with their questions and concerns regarding appointment and Dental Insurance Benefit. Her interests includes shopping, cooking, hiking, or any outdoor activities. Leslie, is our Lead Dental Assistant. She has been with Salinas Smiles Dental Group since January of 2014. She graduated from Regional Occupational Program in June 2009. She seeks to ensure that her patients are comfortable in each visits. 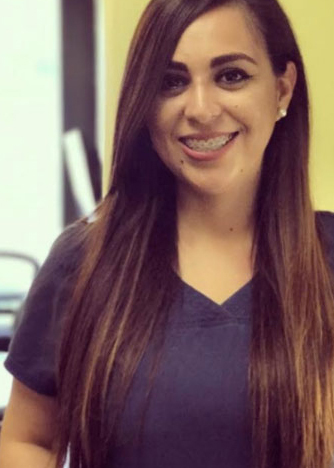 She feels most rewarding when she is seeing a patient with a confident smile after treatment and empowering them to take control of their dental care. She loves going to the beach with her husband, son, and her Australian Shepherds dogs. Olivia is our dental assistant. 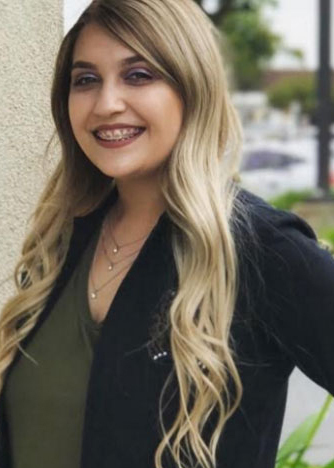 She Joined Salinas Smiles Dental Group in February 2015. She been a dental assistant since 2012. She graduated from Kaplan College in 2012. 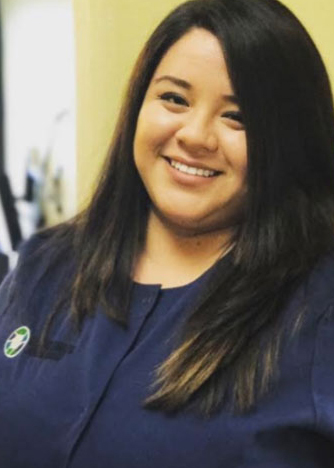 Her favorite part of her job is when she can gradually see a new patient who is very apprehensive, due to bad experiences, grow into a comfortable patient who is no longer afraid to have their dental work done. During her free time she like to go hiking with her dog.